After the Air Jordan 3 “Black Flip” made waves this month, Jordan Brand is set to release another variant of the silhouette called “Grey Flip”. Like the “Black Flip” edition, the shoe is a complete reversal of the material make-up of the Air Jordan with grey hue on the upper part of the shoe. 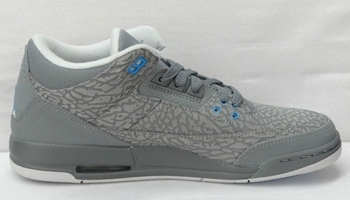 No official release date yet, but this might be included on Jordan Brand Holiday Collection 2011.